Random Thoughts of Gil Camporazo: Muchos Gracias! Thank You Very Much! Muchos Gracias! Thank You Very Much! Thank you very much. Muchos gracias! for your invaluable support to this blog. I do exist because of you, because you're "my soul and my inspiration." My thoughts and ideas are kept on pouring out, ready to be put in writing for you to be "informed", to be "entertained", and to be "educated." These worthy and prolific thoughts are all dedicated to you. I know it is in sharing that we care. It is in caring that we love. And it is in love that we're united and become one for Christ's name sake. There are times, however, that we may differ from opinions, interpretations, or reactions from the issue of the day. But in any rate, we may be in one and be unified as far as everyone's welfare is concerned. It is my stewardship, I know to be of service to you in any means of communication. And blogging is one of these media. In 2011, RandomThoughts! 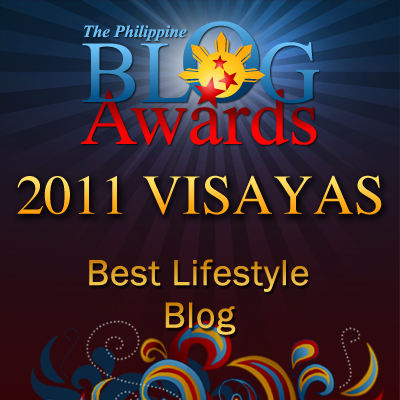 was awarded as the "Best Blog in Lifestyle" category, visayas leg given by Philippines Blog Awards, Inc. in November 12 at Silay City, Negros Occidental, Philippines. I owe this award from you. I know, whatever matters you've kept on following me. You took time out to read my entries in this blog in spite that you're too busy! At any rate, I'm still doing my best to be of service to you this new year. In 2012, I'm still the same Gil Camporazo whom you've known before. I won't refuse to the something that I can do! Let's be together again in 2012. 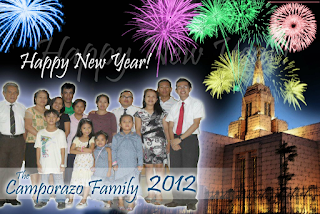 Hapi new yer to u and to ur family sir Gil:) more posts and rewarding "blogging" on 2012! Thank you Cecile and Jonathan. Hope you've a promising new year ahead especially in your blogging endeavor. More power to both of you! I won't refuse to the something that I can do!" That's alright ChrisAir. In everything, there's an opposition. But the point is: you should have the patience to bear anything negative beyond normal expectation and be forgiving. Happy New Year! happy new year and congrats to your blog award. but I can do something." What a year it was for your blog. Have a more successful 2012 ahead. Though it has only been recently when I came across this blog, I could say it is one of the best there is. Thanks to FBW. Nicely said .... I think we may have just a rough start but this could be the start of a good blogging relationship. Happy new year! Happy new year to you and your family.thank you for being a part of FBW and for being na inspiration to the people around you. happy new year co bloggers. what bloggers are for if without us as bloggers and readers. Congratulations for all your blogging achievements in 2011. May you accomplish more this 2012. Your sharing them with us is icing on the cake. congratulations! keep doing what you love! happy 2012! may you have a great blogging year this 2012! That is a blessed and wonderful year. I wish you all the best too for 2012. Thank you for being a great influence in the blogging world. Keep smiling and be merry. Happy Happy New Year to you. Congrats for getting the award! May you continue to bless people through your blog and share your life experiences to a wider audience. God bless you Gil! Wow, you had an awesome time last year Sir Gil! Hope you'll have a blast this year as well! Cheers to 2012! God Bless! im pretty sure i commented here earlier...but anyways let me greet Sir Gil and ur family again a happy new year! more awards and blogging opportunities for 2012! indeed it is and i couldn't agree more... Yahweh created us unique but capable of understanding.... i just hope that the incoming year would be much fruitful for all of us... let us learn from the mistakes we had last year... and try to mend wounds this 2012... help stop global warming... for the next generation's sake... Yahweh bless. You deserve the win sir Gil! :) I personally thank you for being part of my blogging world. Thanks for all the encouragement through your inspiring posts. Happy New Year! Congrats on the many achievement of your blog and I always like reading your post as you can really deliver a wide range of topics convincingly. congrats sir gil, i wish you nothing but the best in life. Congrats! Wish you more fruitful years and blessings to come! I do like the last few phrases that you have especially this one " I couldn't do everything but I can do something". Great phrases, like sir Rob I like this phrase " I couldn't do everything but I can do something." Advance Happy New Year! Let's go forward. Cheers! Kudos to you and to this blog Sir Gil. For sure more articles and blog posts to come! Kudos to you and to your blog Sir Gil! More articles, posts and reviews to come!